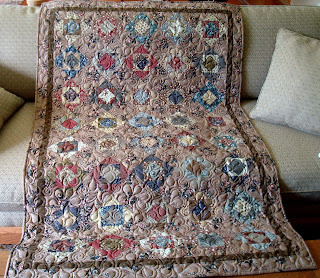 Squash House Quilts: Another Finish -- Really? Looks absolutely wonderful! I love the texture! For photos I turn off the flash and have back lighting through a window...Your photos are great! Oh Candace....love it, love it, love it! 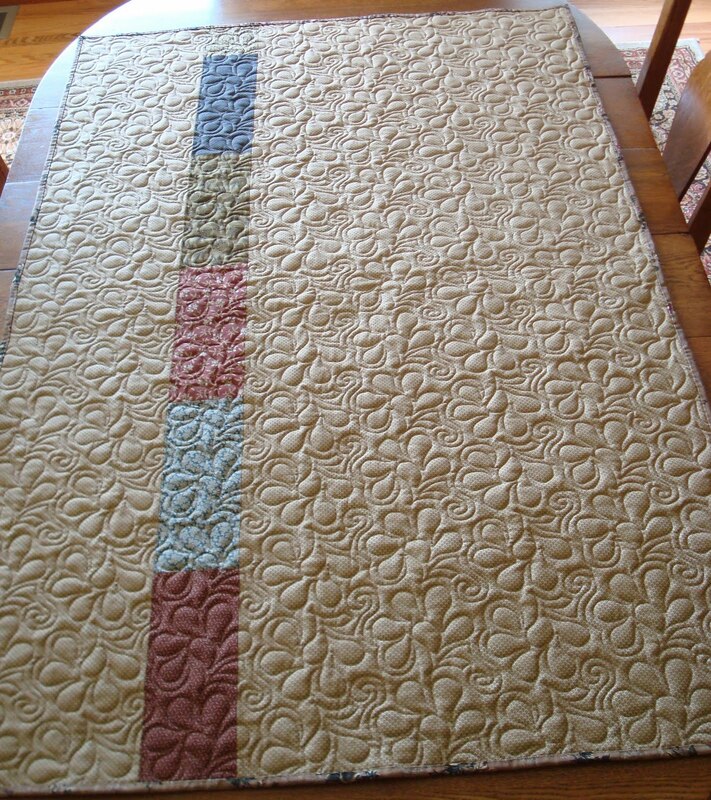 From the fabric to the quilting, it is perfect. So ME and my colors. You and Vinnie are quite the team. Isn't it wonderful to have your own quilting machine to have complete control over your quilts from beginning to end! 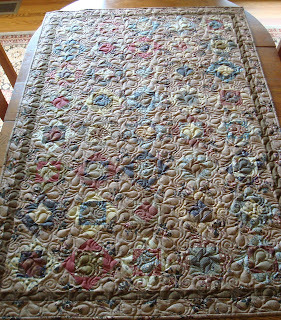 Beautiful quilt and the quilting is magnificent! I think you were born to be a machine quilter! You and Vinnie make a great team! That is absolutely beautiful. And it's a two-for-one. The back is fantastic also. Hot Chocolate is delicious! 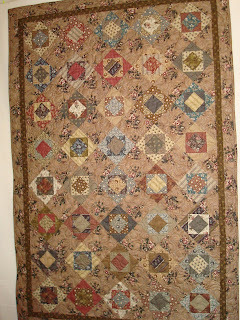 Your quilting is fabulous and your skill has grown by leaps and bounds as I'm sure you confidence has as well. You and Vinnie are awesome. Both you and Vinnie are doing a great job on those finishes. Aren't you glad you didn't stick with that first guy that let you down?! Gorgeous! 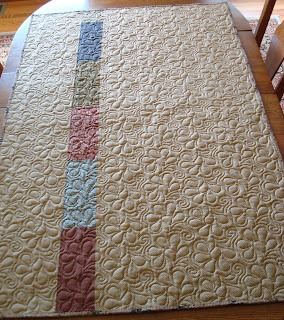 I used wool batting for the first time a couple of projects ago and agree it shows quilting nicely. Hot Chocolate is beautiful. 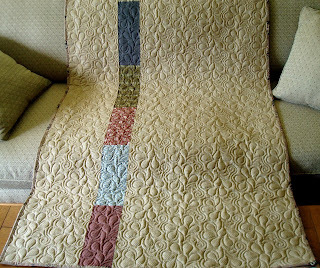 I love the Frisky Feather quilting and I like what you did with the backing too. Love your quilt - the quilting looks awesome! Simply stunning!!! 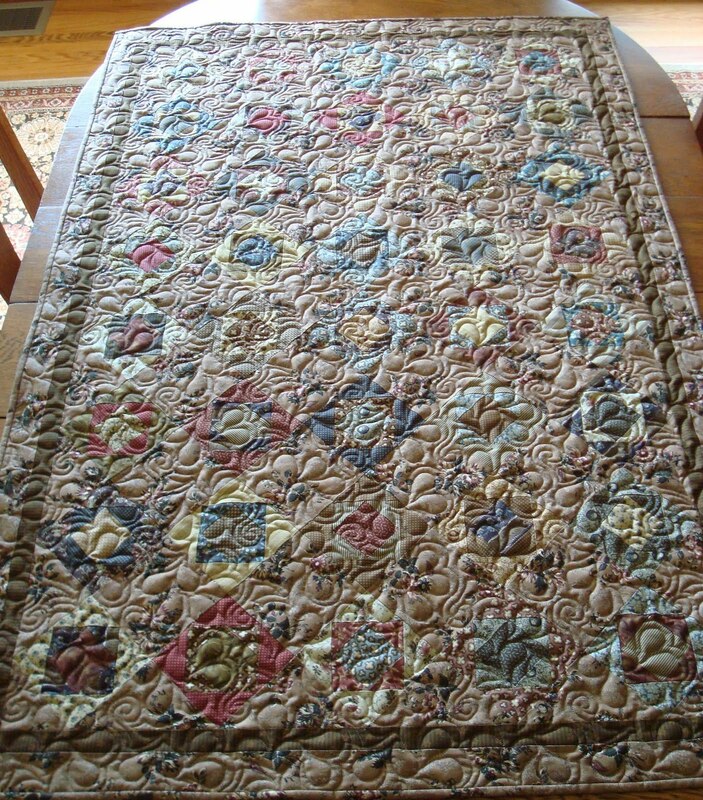 I can't believe how fast you are cranking out these gorgeous quilted tops!!! I really love the design you used. Love that quilt!! Your team work with Vinnie looks professional already! I love the Hot Chocolate colours. You and Vinnie seem to be the perfect team! YAY! 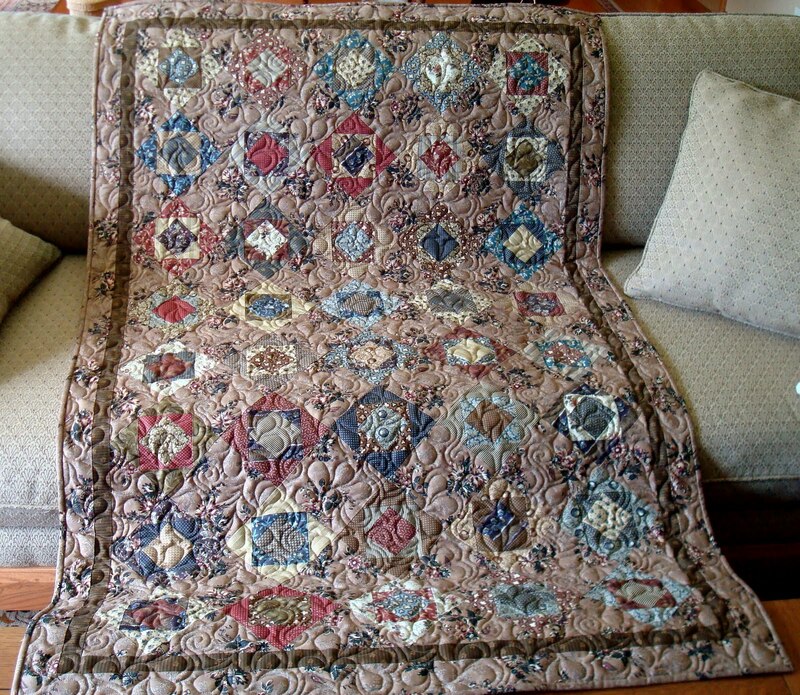 :-) Beautiful quilting and beautiful quilt too. The name definitely is perfect for it. I can't wait to see more! Oh Candace - THIS is one of favorites you have done to date!! I am IN LOVE with it - simply a winner! Mr. Squash named it perfectly !!! Your quilting is wonderful !! Great job Candace! 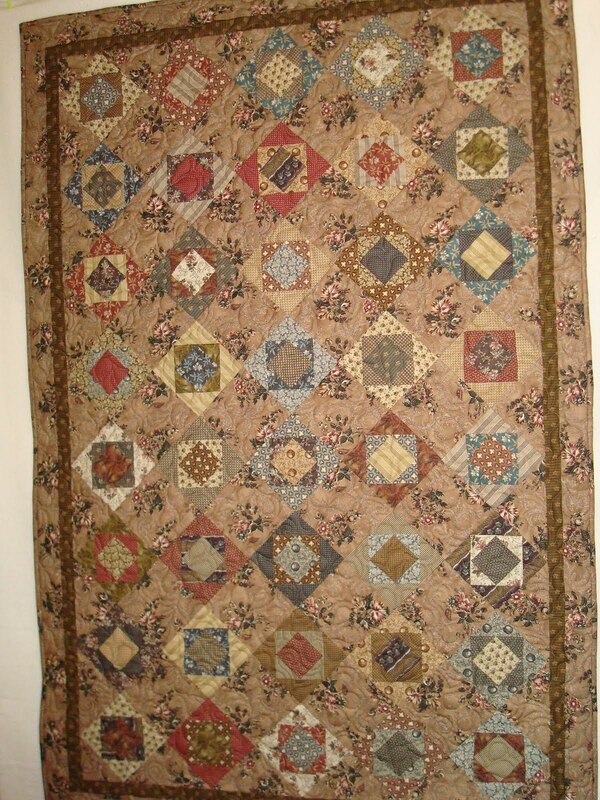 I just love the quilting design. Yes, you will have your pile done in no time as you and Vinnie work together. I'd say you and Vinnie are getting along splendidly. Your quilting looks so nice. I love the Frisky Feathers pattern, too.